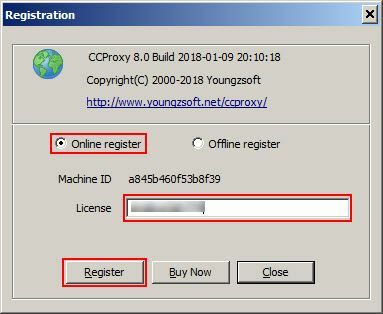 CCProxy has two way to register license, one is online mode and second is offline mode. 2. But when you do not have access to internet or your CCProxy is behind a firewall, then to register the serial code, you need two things. 3. 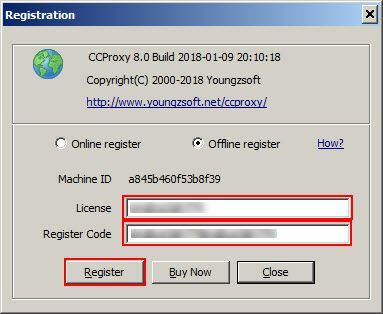 Once you have the register code, you can register the serial code by filling the license and Register Code field and clicking the "Register" button (Figure 2).